I, for one, know that psychics are not 100% correct all of the time. 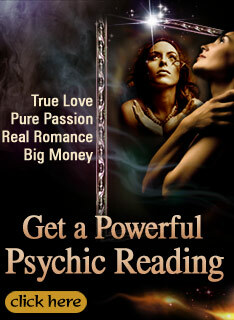 Psychics have their good days & bad days, just as we all do concerning the gifts God has given us. I do, though, believe that Sylvia wants what we all want, a peaceful world with love for one another. That speaks volumes to me. Everyone has a right to their own opinion, but do not make a mistake that all predictions are written in stone. Even Sylvia states to use your own minds and decide what is best for you! I, too, watched the web class and Sylvia said the opposite was true: that she never said that about "the President Elect". But this says "the President elected sometime after 2008"...maybe she means sometime later? Or maybe her page has been hacked? I also heard the same thing about the President and the heart issue but it is in Sylvia Prophecy Book and she did say this tonight on her telecast that she never ever said such a thing, but in fact she did. Please clarify this for all of us as soon possible? I just watched Sylvia's show and I believe that the question was about the next president being assassinated. Sylvia said that a president after 2008 will die of a heart attack. Then a vise president will be assassinated. i'm comfused i just listened to the webcast and sylvia said she didnt say the president will die of a heart. But above it says the president elected sometime after 2008 will die of a heart attack. did anyone else listen to the webcast and read above. are these not sylvis's predictions above. I love sylvia i'm just a little confused on the contradiction. Hi Sylvia. In your December webcast tonight you said you never said this, but it is right here in this article "I predict the President elected sometime after 2008 will die in office from a heart attack." Was this just a mistaken prediction? Thanks for clearing it up for all of us. Tried everything I could but never did get to see or hear Sylvia's predictions. Don't even know if she ever made it to her own class. Signed up in time, hubby was actually quiet for me so I could hear and see, but nothing. Kind of disappointing. I always loved watching Sylvia on the Montel Show,they were great together.I miss the show,he was such a kind man!He always is trying to help people,more people should be like that.We need more compassion and love in this crazy world!But I believe in Sylvia Browne and her books are good too.God Bless everyone!